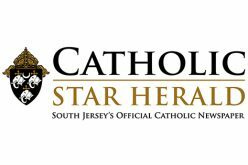 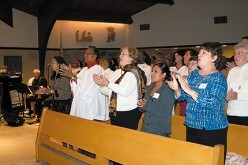 The Manor at St. Mary’s in Cherry Hill celebrated its 20th year with a Mass and luncheon on Wednesday, April 6. 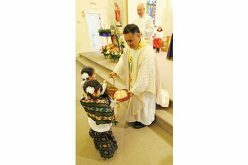 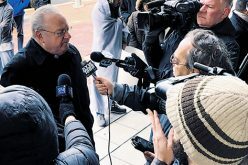 A not-for-profit residence serving retired senior citizens, the building is staffed by the Little Servant Sisters of the Immaculate Conception. 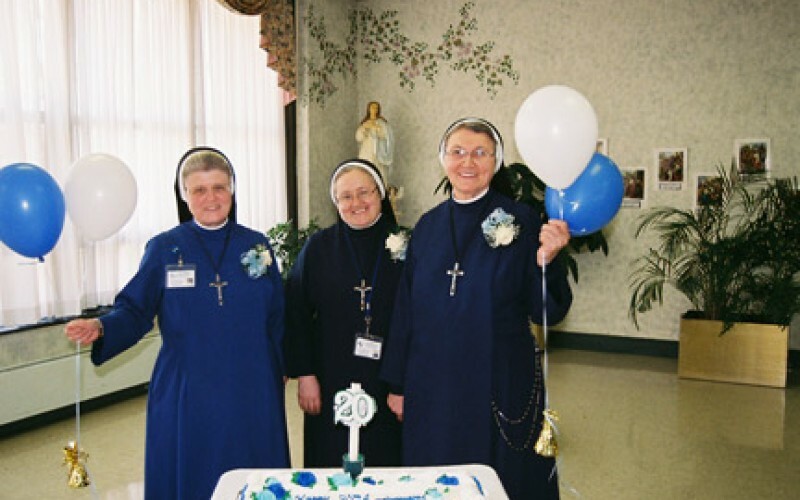 Pictured above cutting the anniversary cake, are Sister Mary Ann Marshall, Sister Zdzislawa Krukowska and Sister Frances Szymanska. 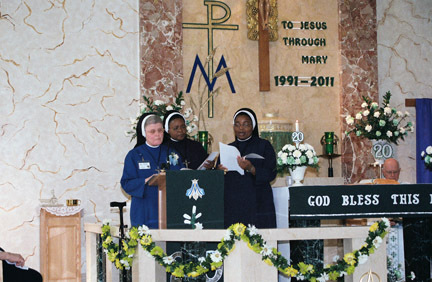 At right, Sister Mary Ann Marshall, Sister Dorothy Chongo and Sister Angela Mwimbe sing during Mass.